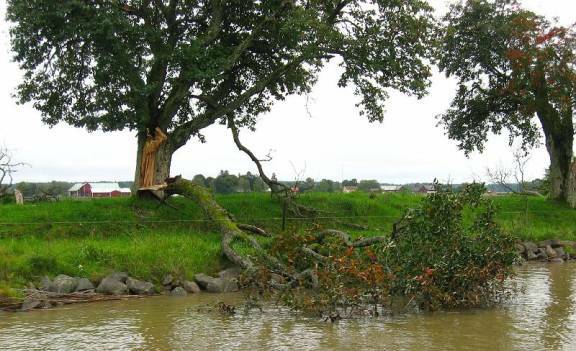 The Göta Canal is considered the greatest wonder of Sweden, but like the warship Vasa, was a failure in meeting its objectives. 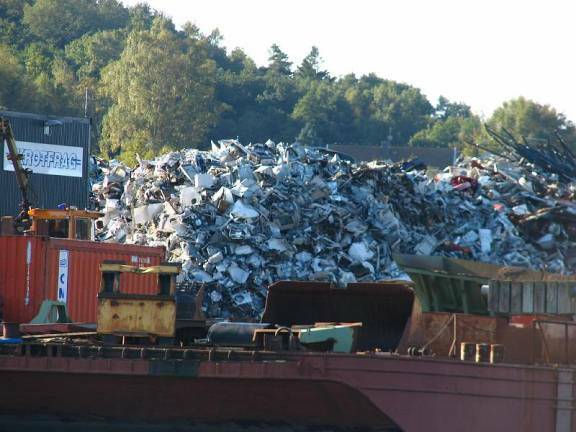 It was intended for cargo ships to avoid the long trip around the southern tip of Sweden to get to the populated east coast, Finland and Russia and to bypass the Danish duty collectors at Öresund. 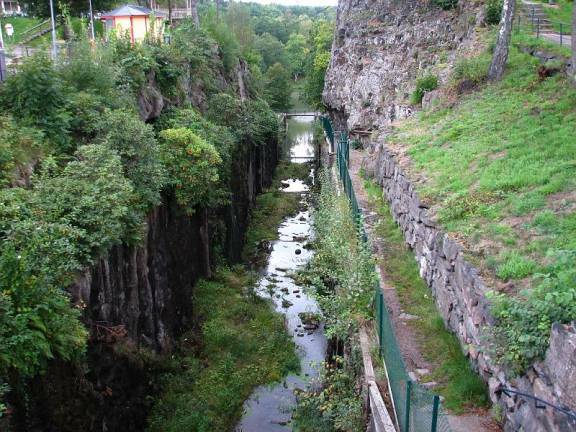 The detailed plan was completed in 1809 by Swedish Baltzar von Platen and Scottish Thomas Telford (designer of the Caledonia Canal in Scotland), but the entire canal was not opened until 1832. It was never an economic success. The arrival of the railways in 1855 quickly made the canal redundant, as trains could carry passengers and goods far more rapidly and did not have to shut down with the arrival of winter, which made the canal impassable for five months of the year. By the 1870s, the canal's goods traffic had dwindled to just three major types of bulk goods - forest products, coal and ore, none of which required rapid transportation. Traffic volumes stagnated after that and never recovered. 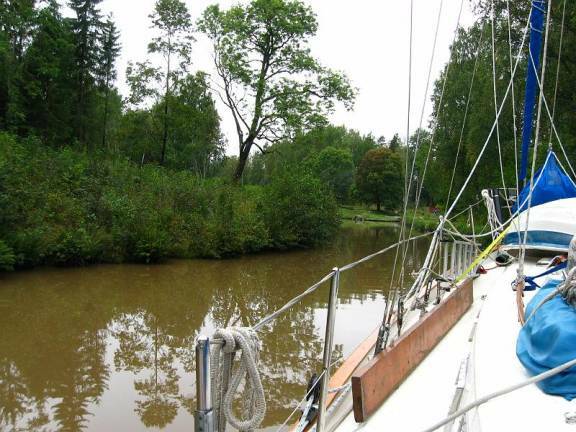 Today the Göta Canal is a major tourist attraction for people in tour boats, cyclists, caravans (RVs), automobile tourists and privately owned boats. 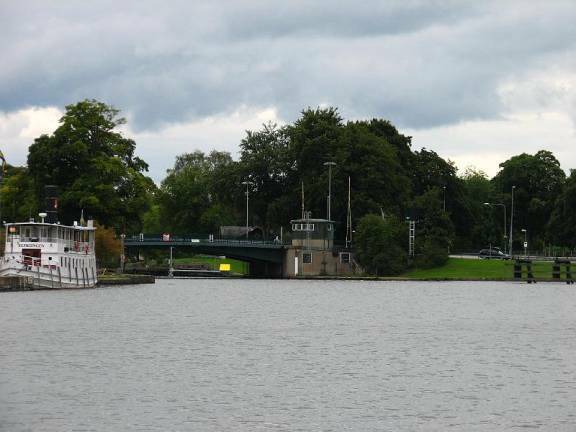 Over 8000 pleasure boats traverse the locks during its short season (May – September). 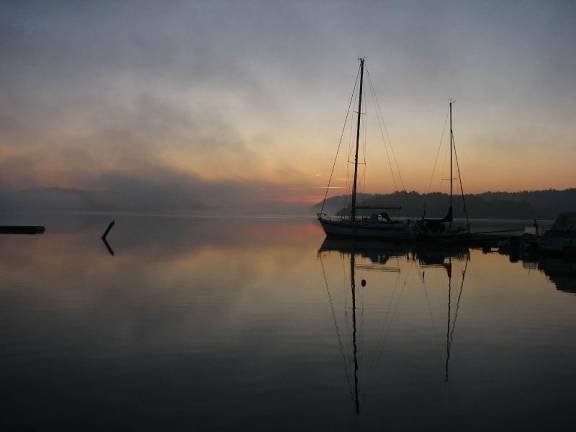 For a westbound boat, the canal begins at Mem on the Baltic Sea. Mem is not really a town, just a gathering of houses, a marina with a snack bar and campground, and farmland. We arrived at Mem a day early and stayed at the waiting dock beside the first lock to prepare for locking … dinghy on the bow, fenders and fender boards ready to deploy, bow and stern lines led to the cockpit so they could be handled by one person as the lock filled. The canal has an art project, “visions by the water,” and there are supposed to be 7 works of art along the canal in this project. 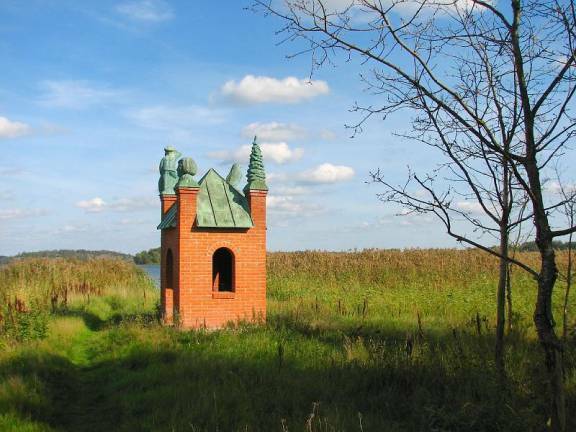 The first is at Mem: a brick tower with a copper roof and figures at each roof corner, situated in a reed bed. Significance? Not clear to us. The locking up process is relatively simple; one crewmember leaps from the boat with the stern line just before the boat enters the lock. When the boat is positioned in the lock, the stern line is secured to a ring near the back of the boat. The helmsperson throws the bowline to the crewmember on shore and it is secured to a ring near the front of the boat. The helmsperson, who is also steering the boat, stopping it at the correct location, and throwing the bowline, uses two winches in the cockpit to tighten the bow and stern lines. 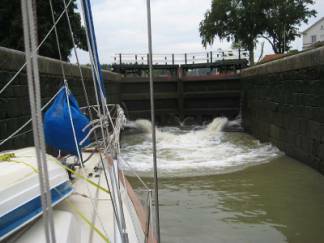 Once all boats are in the lock (4 boats 35 feet or shorter can fit in one lock, but only one other boat could fit in a lock with us), the gate is closed and the valve opened to let the water come rushing in. 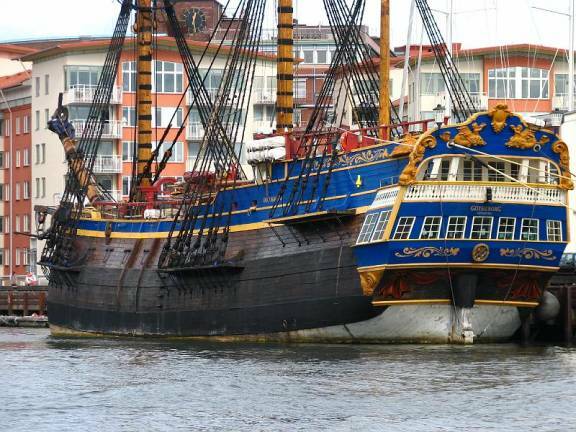 The turbulence is amazing, and the helmsperson must continually tighten the bow and stern lines as the boat rises in the lock. 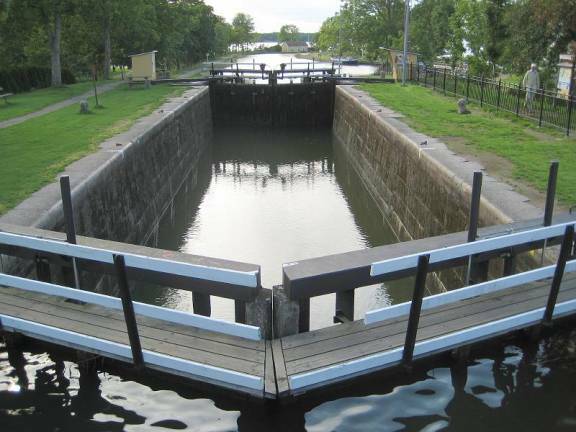 Most of the locks are about 4-5 meters (12-15 feet), so it only takes 5-8 minutes for the lock to fill and the gates to open. The lockkeepers were sympathetic and offered help to catch our lines rather than have one of us jump off the boat. This was helpful, especially when there were actually present to take our lines; sometimes they forgot. 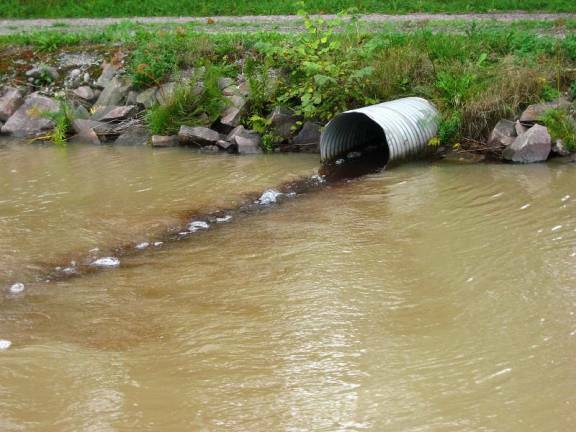 The canal is shallow (8-10 feet deep, 2.8 – 3.5m), narrow and muddy. 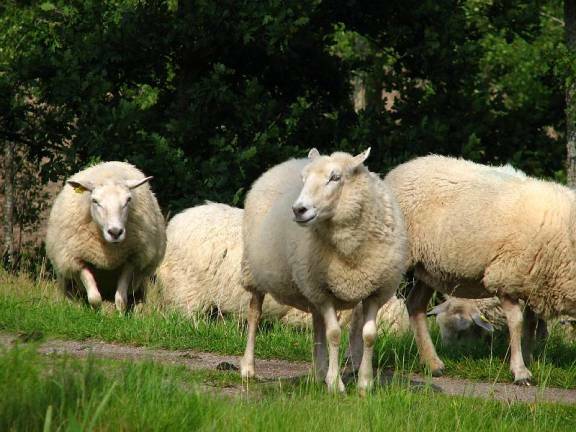 It goes through pastoral farmland, and only a few towns. 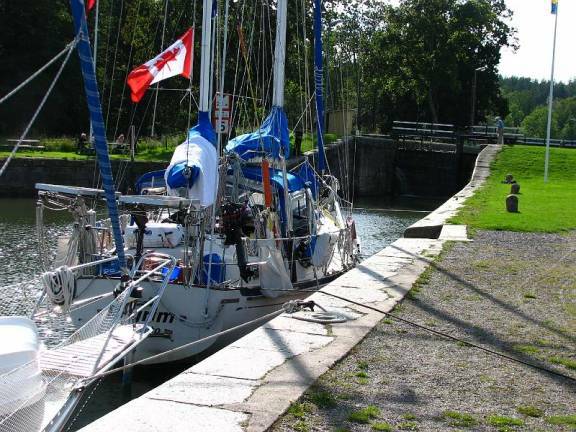 Our first day we went 30 miles and traveled up15 locks. It was raining at noon, so we did not stop for a lunch break at Söderköping. The first lift bridge did not open on schedule, causing a bit of boat traffic congestion. There was a strong cross wind making it difficult to “stand still” with the four other boats in our convoy. There were times the locks were not ready for us, raising the stress level since the canal is not wide enough for us to circle around. We ended the day with a sail across Lake Roxen. 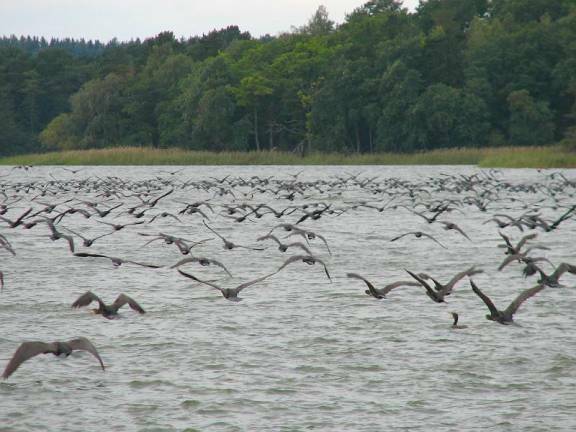 The wind was light at the east end of the lake, and we flushed out thousands of cormorants as we motored past them. 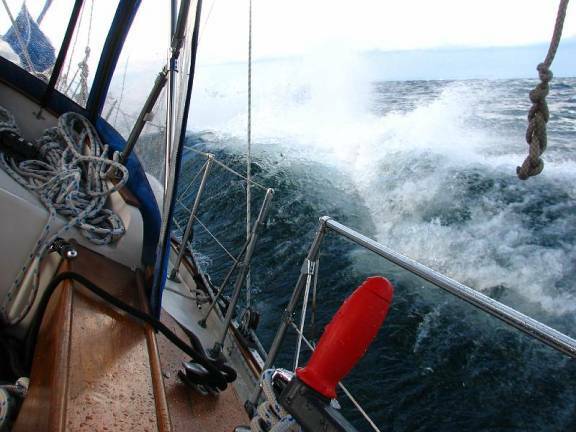 The wind built to 20 knots on the nose, and we ended our passage with a lively motor-sail. We docked at the bottom of seven flight locks at Berg. 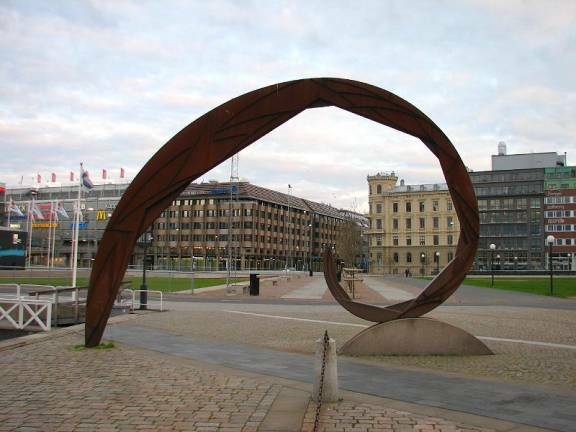 The second work of art in “visions by the water” (Dubbelgångare) is at this location. The second day started with the seven flight locks (one lock right after the other with no canal in between) with a total of 15 locks and 9 opening bridges over 18.5 miles. We ended the day with a great sail across Lake Boren, zipping along at 7 knots with no motor noise. After we docked, a group of children / young adults showed up and started fishing for crayfish. One of their supervisors stopped to talk and was interested in our trip and the boat. 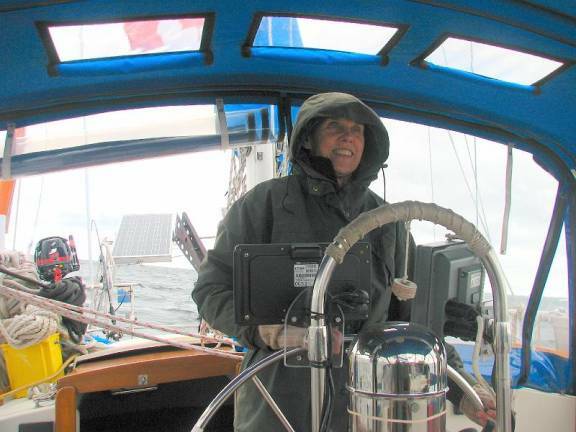 We invited her aboard, and asked about the young people who were with her. She told us it was a class for mentally handicapped children on an evening outing. 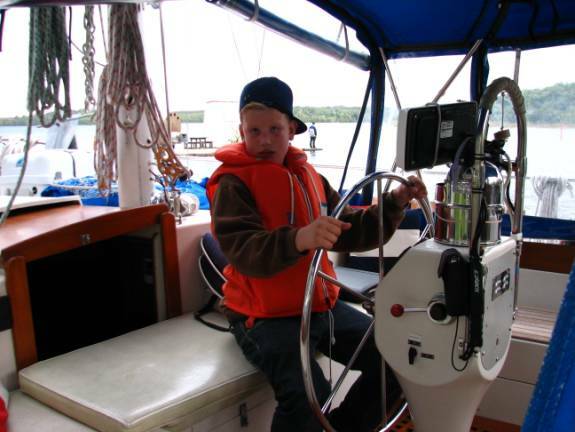 We invited the kids who were interested to come onboard, and had a good time showing them the boat. 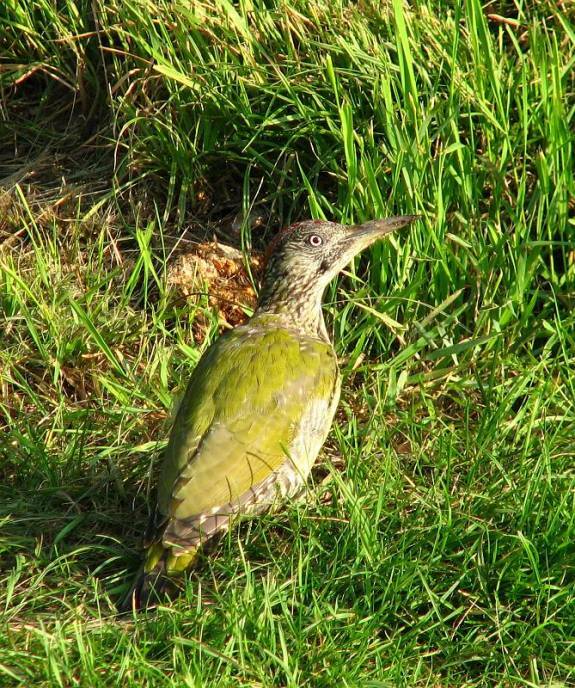 We also saw our first green woodpecker. 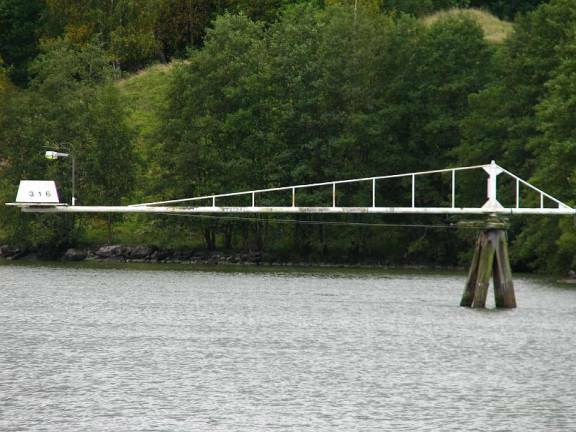 The third day we went through just 6 locks and several bridges, traveling through Motala on the east side of Lake Vättern for a total of 20 miles. We passed the historic Motala Verkstad, one of the oldest engineering companies in Sweden. 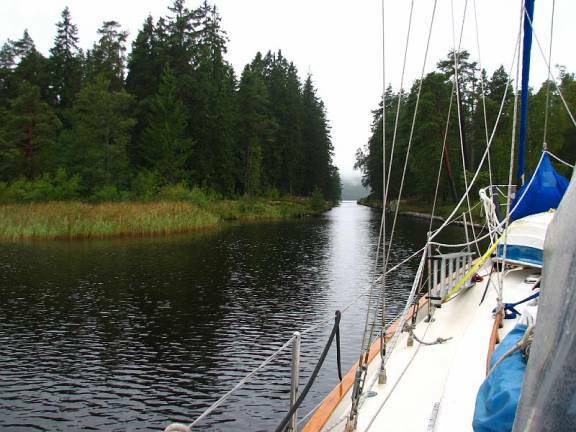 We had a rip-roaring sail across Lake Vättern in 20 knots of wind and in the rain, but a welcome sail after so much canal motoring. 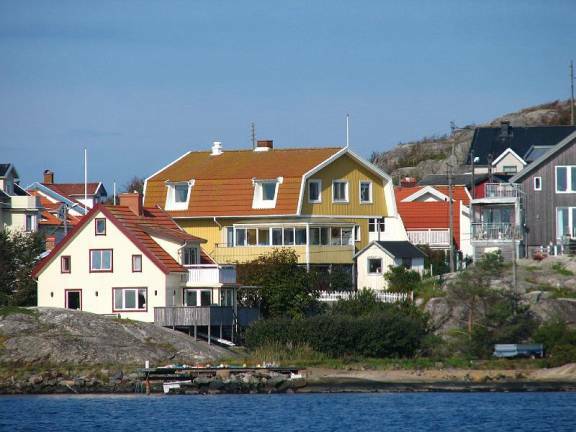 We decided to stay for the weekend in Karlsborg on the west side of Lake Vättern. 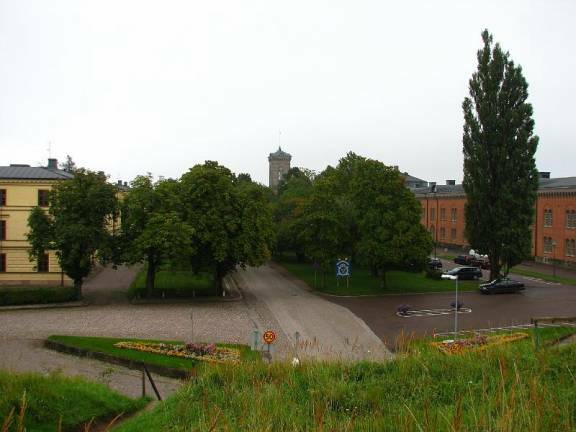 We needed a break from the stress of the canal and wanted to explore the town and fortress at Karlsborg. We were disappointed. The guest harbour was full of local boats; we squeezed into the last available space. The harbour had showers and laundry (the dryer did not work, so laundry was draped inside Pilgrim since it was raining), but the sauna eluded us. 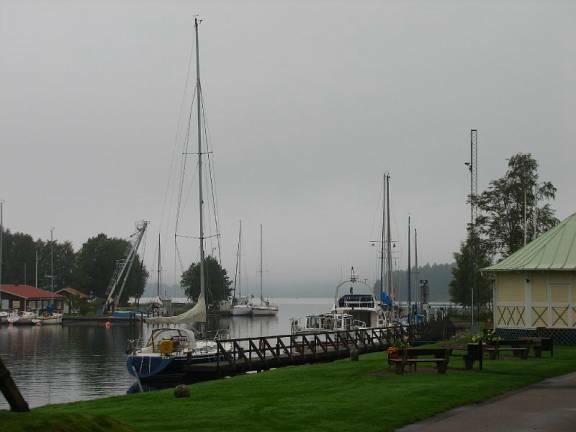 Torrential rain pelted us our first day in Karlsborg. The second day we discovered that much of the fortress, which is still a working military base, closed at the end of August. We started calling the canal the Gotcha Canal. We wandered about the Karlsborg Fortress taking care not to wander into restricted areas and put the camera away when signs indicated “no photographs.” It seemed strange. The scale was large, yet there were few people and some abandoned buildings. We wondered why such a large fortress was built in the middle of the country. 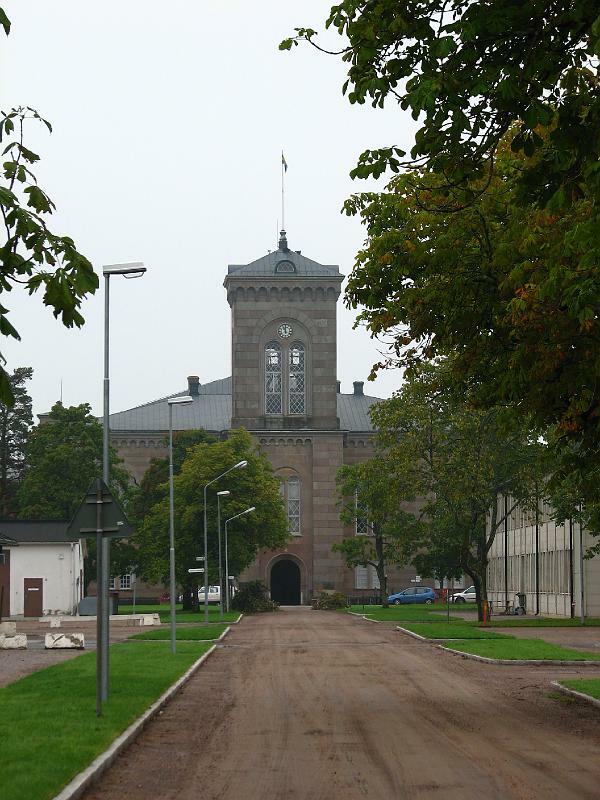 Research has indicated it was intended as a place of retreat for the Swedish government in the case of an attack, mainly from Russia. 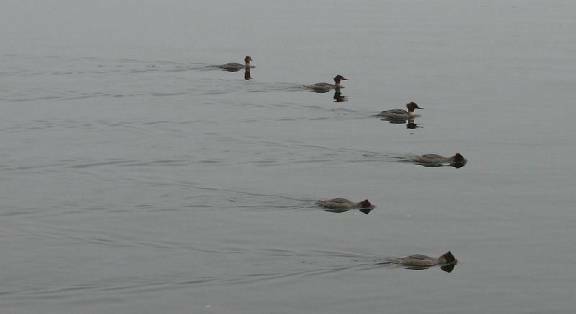 A flock of Mergansers at Karlsborg was fascinating. 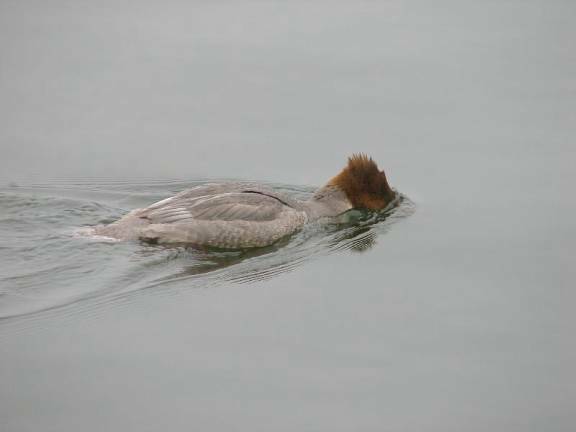 Like cormorants, they stick their heads in the water looking for fish. 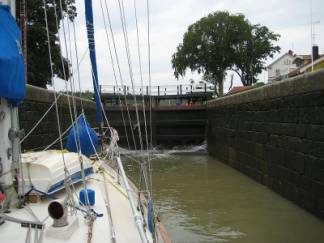 Our forth day of travel (6th day on the canal) only had two locks, but we had a tricky passage to negotiate entering Lake Viken. The lake was infested with shallows, islets, and old jetties from the days of commercial traffic on the canal … hardly a place to sail. However, the lake is at the highest point on the canal, and all the subsequent locks were “downhill,” and therefore much easier. The colour came from field runoff … I wonder what it contains? It made a real mess of our white topsides. 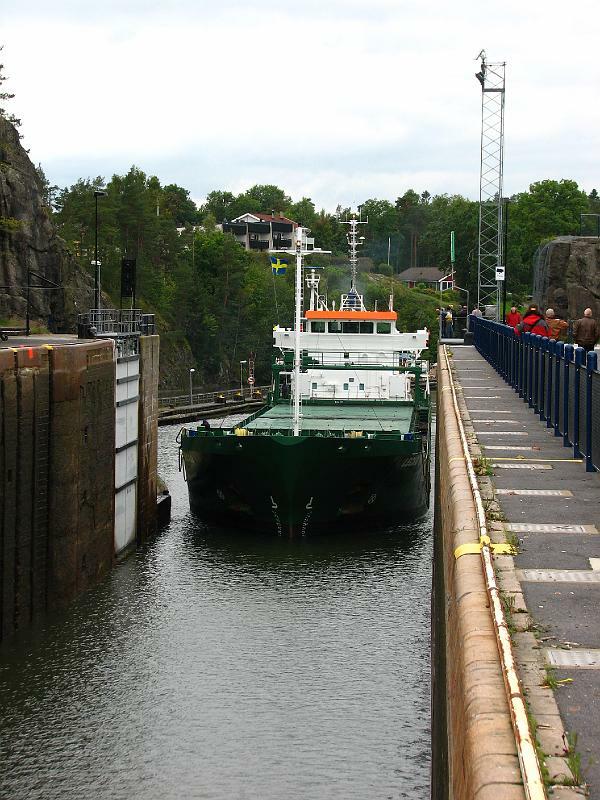 The last day on the Göta Canal 19 downhill locks. 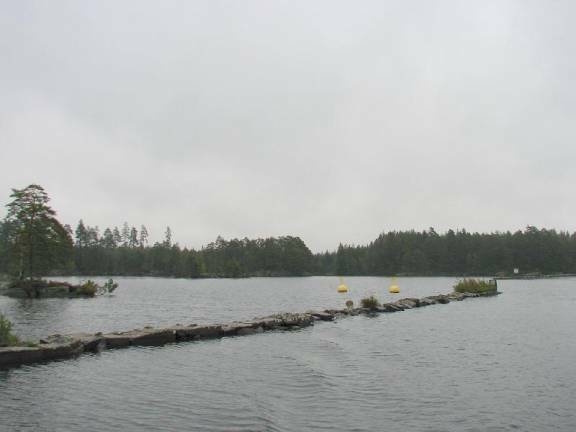 The canal ends in Sjötorp on the east side of Lake Vänern. 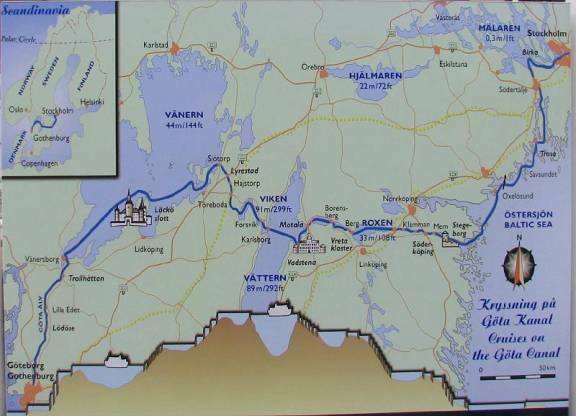 The Göta Canal does not completely span the country; the west end of the canal is on Lake Vänern and then more locks are encountered in the Trollhätte Canal to get the boat back down to sea level. 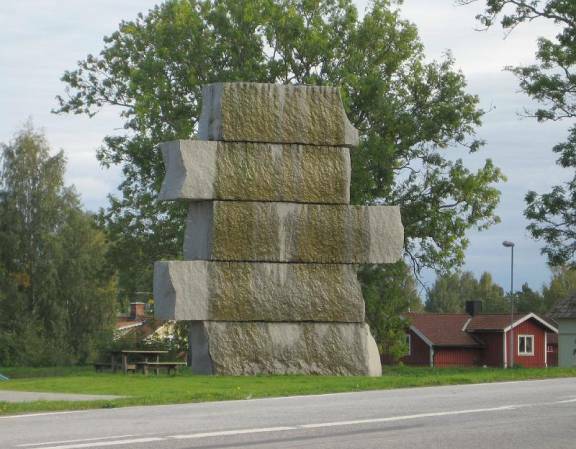 In Sjötorp we saw one more art work in the “visions by the water,” Water Stairs. We missed seeing the work in Töreboda (commissioned, but not completed yet), a floating item (perhaps removed after the high season), a water sculpture in Borensberg (perhaps turned off after the high season), and the Rabbit Crossing in Söderköping (it was pouring rain and we had enough trouble just following the canal in the rain). . 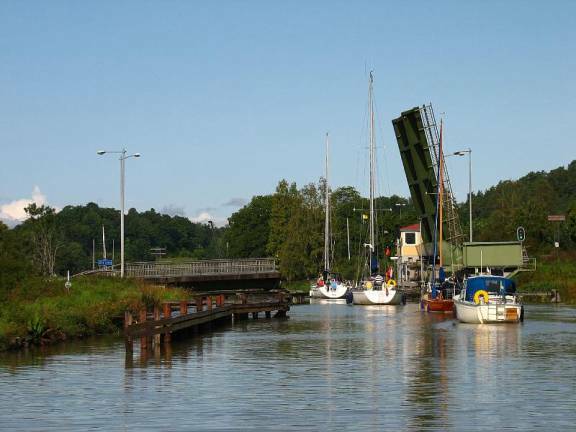 The Göta Canal is only open from early May to late September. The “season” in which reservations are not required is an even shorter June 9 – August 18. 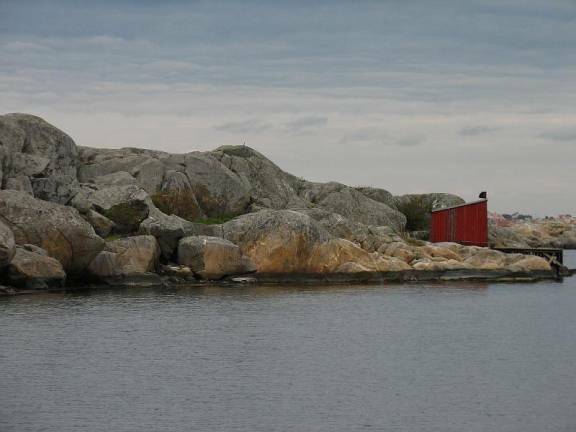 If you travel outside the main season, many facilities are not available, toilets are not maintained, and local boats fill spaces at the “free” guest harbours. Whether you travel in the low season or the high season, the cost is the same: approximately $1000 for a boat our size (12.8 meters/ 42 feet). We did not feel the canal provided a reasonable price for the service (or lack of services) and certainly cannot recommend it to other cruisers. 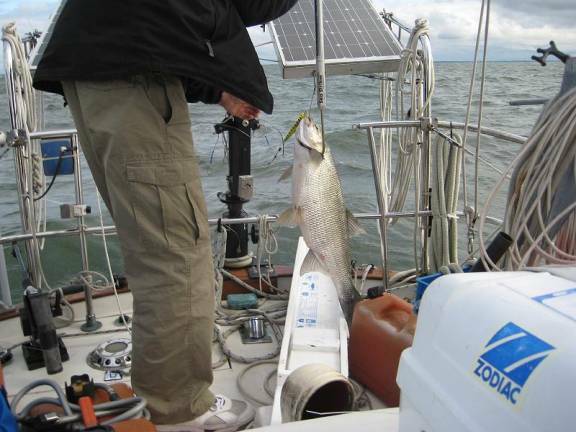 We spent two days on Lake Vänern with strong winds, good sailing, and finally good fishing. 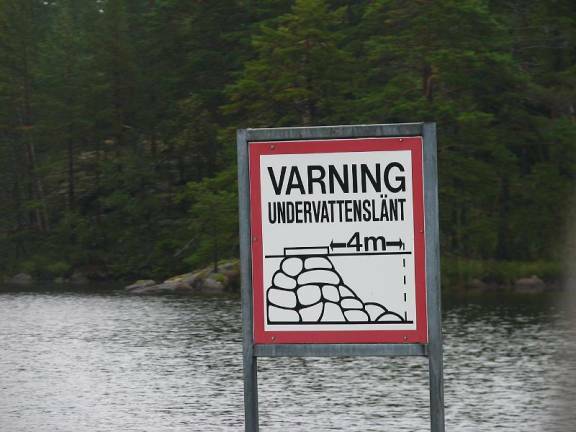 We had only descended about halfway to sea level on Lake Vänern. The Trollhätte Canal with its six huge locks for modern cargo ships took us the rest of the way down to sea level; it also had enough lift bridges that did not open until we were dangerously close to keep our stress level high. The original 1800 lock is no longer in use, and looks very narrow compared with the replacement locks opened in 1916. 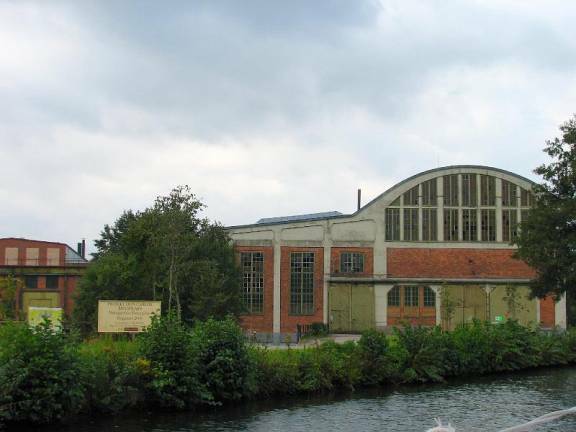 The Trollhätte Canal has markers on the edges of the waterway. Sometimes the markers were on long arms that reached far from shore and almost were a navigation hazard rather than aid. When we left the last lock on the Trollhätte Canal at Lilla Edet we realized we could not get to any marina until after dark, so we decided to stop at the waiting dock at the exit of the lock. The river (around whose falls we had just locked) joined the canal at the waiting dock. The current in the river was very strong, and pushed us hard next to the dock. In fact the strength of the current was so strong that the weight of Pilgrim being pushed into the dock burst one of our fenders. We spent a sleepless night strategizing how we could get Pilgrim off the dock with the strong current pinning us to it. At 5:00 we got up and had breakfast. While we were drinking our coffee we noticed our lines were slack and the current had calmed. We quickly cast off and easily slid off the dock. 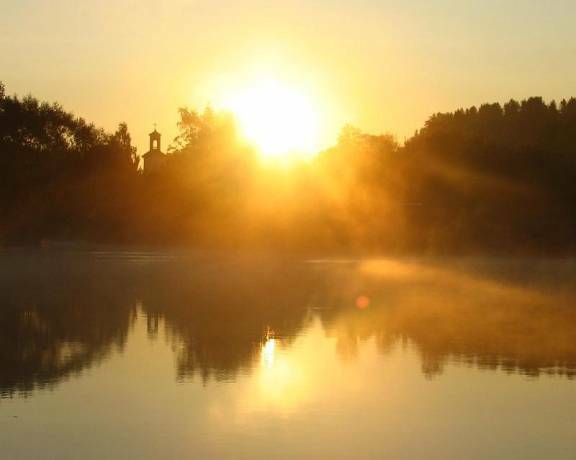 Now we had a new problem: the sun was just rising and dense fog on the river made visibility very difficult. Fortunately there were no other boats traveling on the river so early. 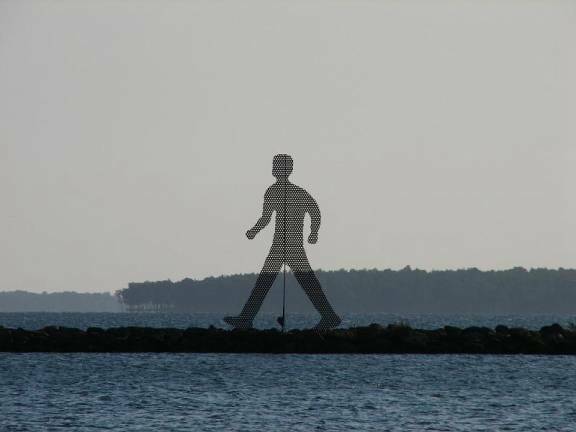 The markers on the edge of the channel were sometimes the only things we could see. 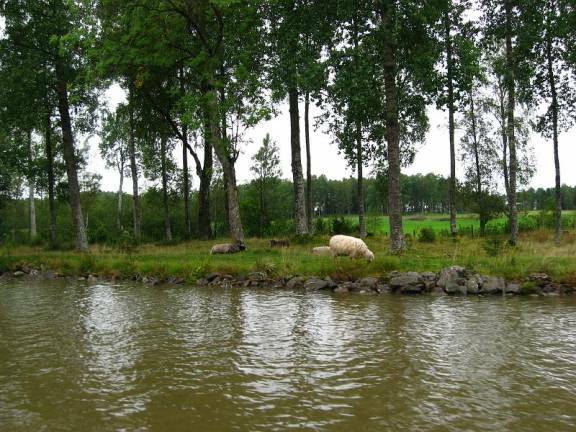 Most of the canal goes through farmland with a few small villages. 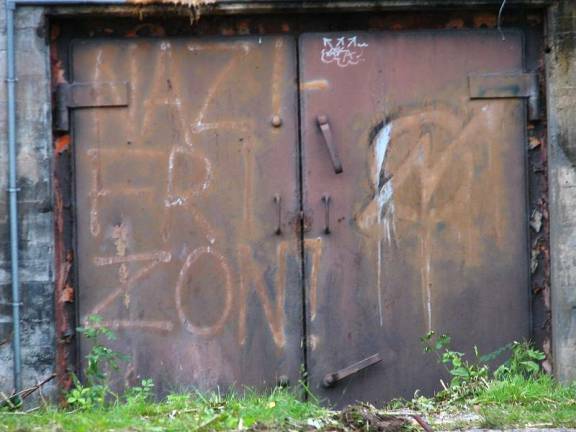 As we got close to Göteborg we saw graffiti. 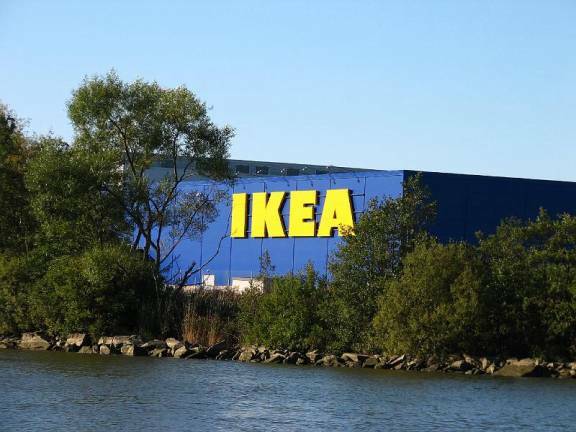 Out the outskirts of Göteborg there was a garbage dump (very picturesque), an Ikea store, and a person who had set up a camp along the riverbank. 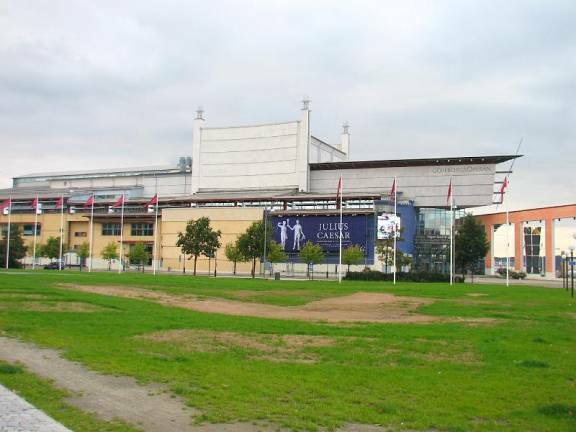 We spent several days in Göteborg at the Lilla Bommen marina. 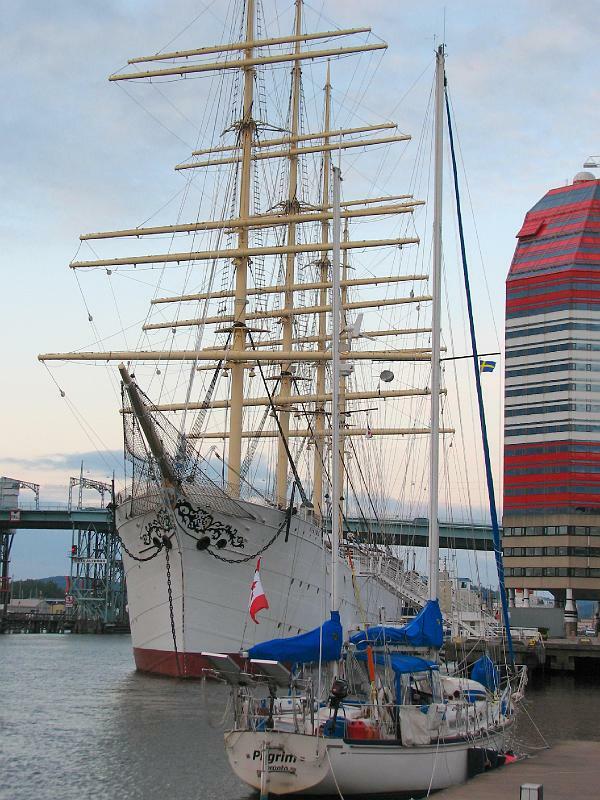 The marina is tucked behind an imposing 3-masted ship that is a hotel! 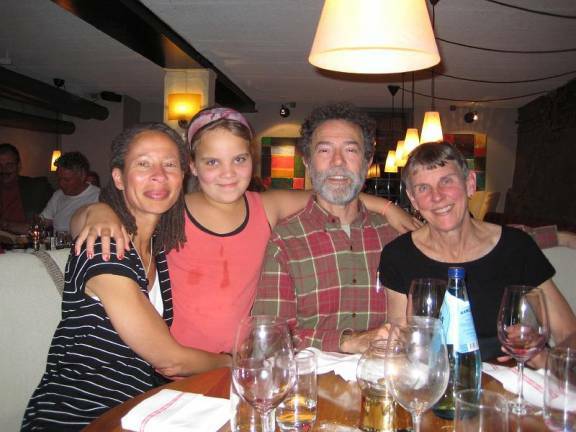 While in Göteborg Jane had a reunion with her high-school classmate and his family. The new opera house on the waterfront is not attractive to the eyes; we hope is does well with the ears. 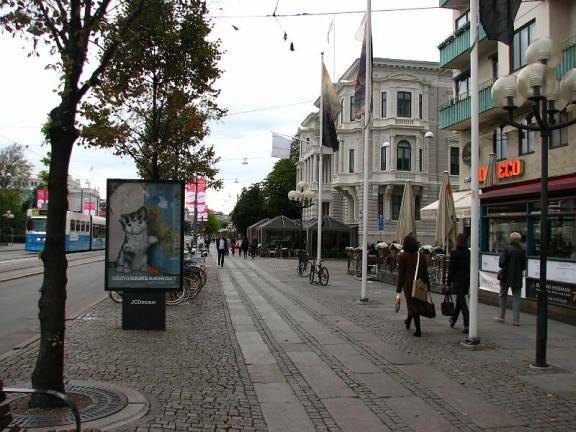 Göteborg is a large city with an attractive downtown area. 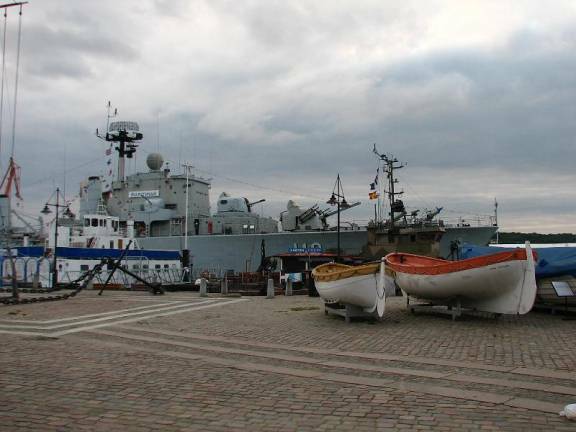 The maritime museum has the largest collection of boats in Europe. 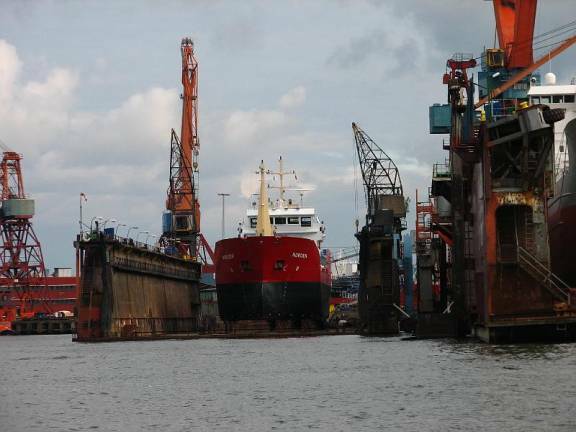 Göteborg had a large shipbuilding industry, and still has extensive, large dry docks. 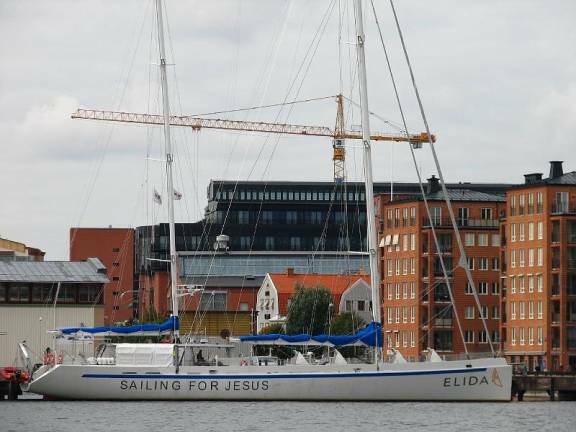 As we left Göteborg and continued down the Gőta Älv toward the Kattegat we saw a number of interesting boats. 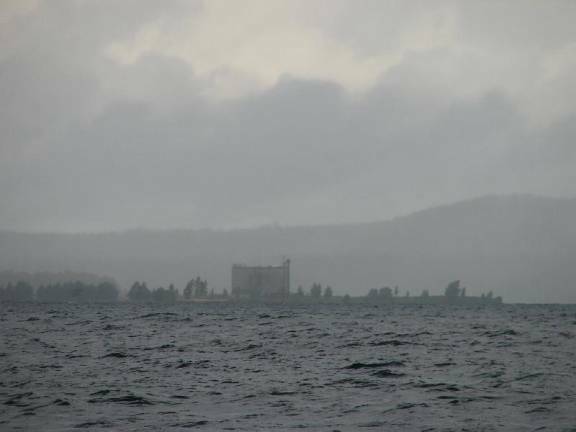 The islands facing the Kattegat were stark with little vegetation. 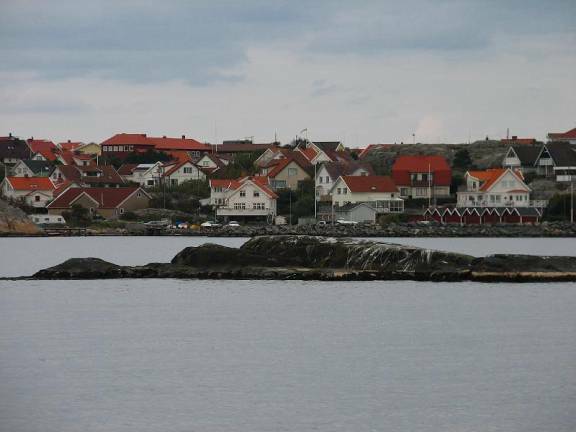 However, there were small communities like the one on Fotö. 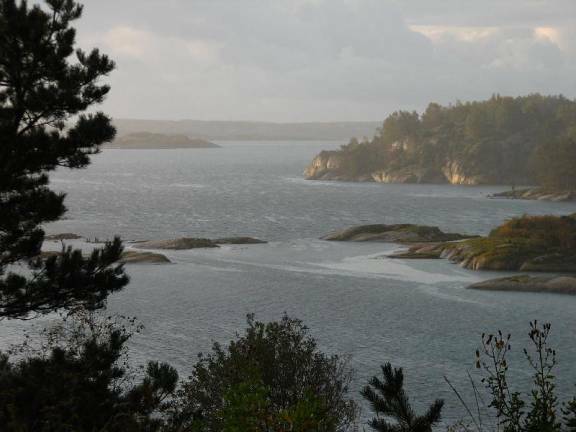 Our first anchorage between two islands bordering on the Kattegat looked almost like a moonscape. Traveling up the west coast through the archipelago we found several small towns that appeared to be relatively prosperous despite their isolation. The landscape on the west coast could be beautiful in the right weather conditions. 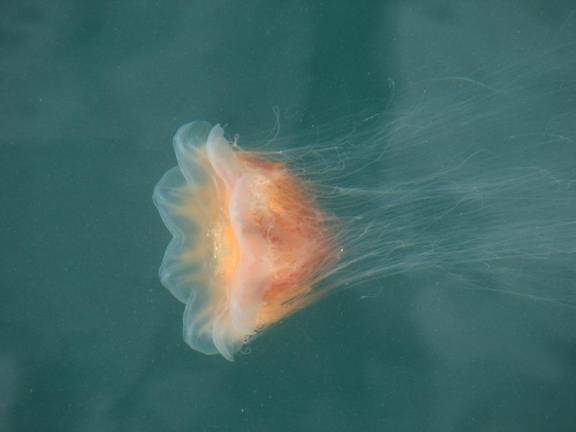 The Lion’s Mane jellyfish made us aware that we were back in salt water.